JASTAR, s.r.o. is a business company established on 24th of February 2003 for a purpose of paints, varnish and pictorial supplies sale. 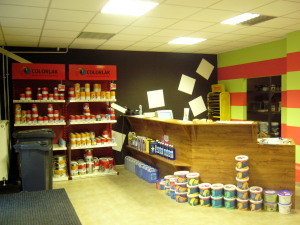 The company has diversified an offer of supplies progressively according to a customer requirements. A policy of the company is customer oriented with the aim to increase the quality of sale. For a better quality of sale is flexibility, quality, competition able price, responsible terms of supplies and enough store of distributed assortment needed.